The latest stable version of Vivaldi browser was released on June 2, 2016. 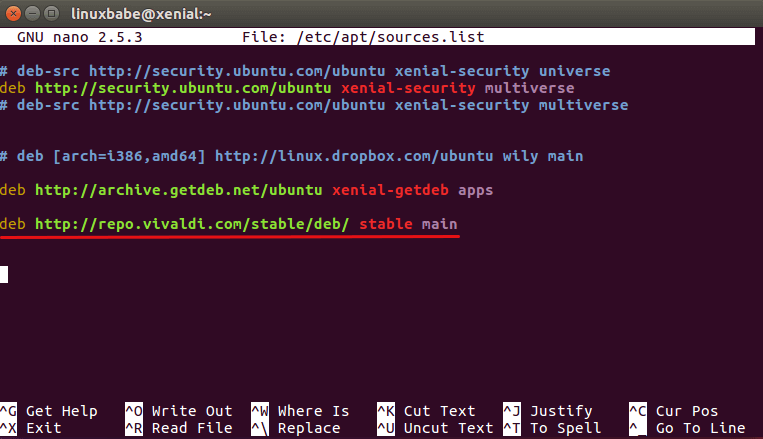 This tutorial shows how to install Vivaldi 1.2 on Ubuntu 16.04 Xenial Xerus via official APT repository. Better tabs allows you to choose any page as the starting point for a new tab. 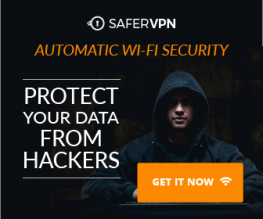 Then import the public key to your Ubuntu 16.04 system. Append the following line at the end of this file. Press CTRL+O to save the file. Press CTRL+X to exit. Now update local package index and install the stable version of Vivaldi browser. To make your own mouse gestures, click the Vivaldi icon on the top-left, then go to tools > settings > mouse. Click the + button to add a command and then draw you mouse gesture on the blank board. 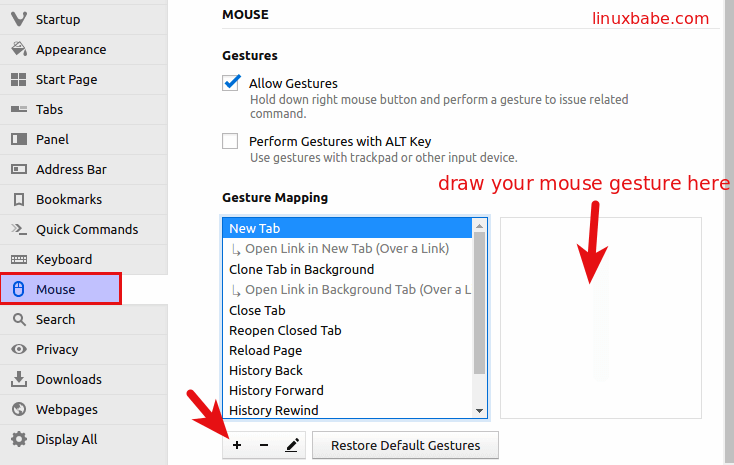 You can make new mouse gesture or change the existing mouse gestures to your liking. To use any of the existing or your custom mouse gesture, hold the right button of your mouse and move the mouse. Comments, questions or suggestions are always welcome. If you found this post useful, 🙂 please share it with your friends on social media! Stay tuned for more Linux tutorials.